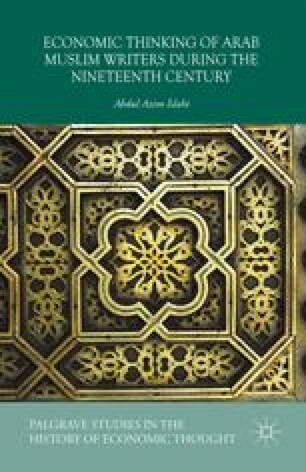 Ever since writing on the history of Islamic economic thought began in the last century, most authors have focused on the period between the first century hijrah/seventh century CE and the ninth AH1/fifteenth CE century, with specific attention to works of writers from Tunisia, Syria, Yemen and Egypt — the focus of this book. There are several works on the economic thoughts of Muslim leaders, thinkers, and scholars from the early years of Islam, such as Umar b. al-Khattab (d. 33/644), Ali b. Abi Talib (d. 40/660), and Abu Yusuf (d. 182/798), up to the ninth/fifteenth century scholars, philosophers, and social thinkers, such as al-Ghazali (d. 505/1111), Ibn Taymiyah (d. 728/1328), Ibn Khaldun (d. 808/1406) and al-Maqrizi (d. 845/1442).2 This fact is noted in the works of Siddiqi (1980), Nuqli (1998) and Islahi (1997, 2005). There has, however, been an almost complete silence about what the situation was in subsequent centuries; it is as if economic thinking had all of a sudden stopped: that there was a lacuna. My curiosity about the reality of the situation provided the impetus for investigating Islamic economic thought and Muslim economic thinking in the period after the ninth AH / fifteenth CE century.